Do you know what paracord is or are familiar with the term? This is a product that is typically used in parachutes as suspension lines. However, it has become a go-to product for survivalists and outdoor enthusiasts as it can be used in many different ways since it is so versatile. 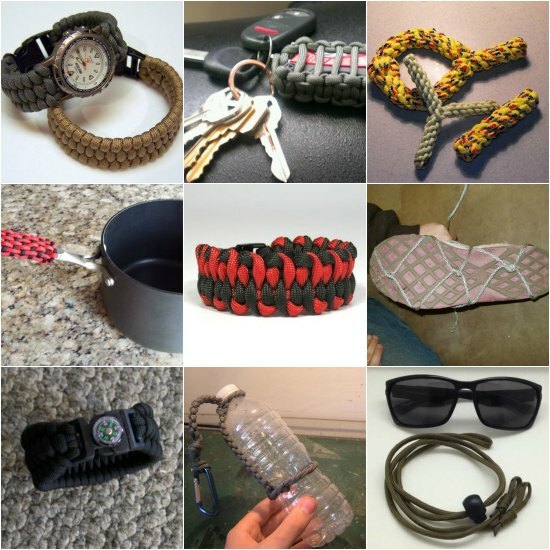 In fact, there are many types of paracord projects you can make for emergency preparation, and even outdoor activities such as camping, hiking, and fishing. If you want to be prepared for a vast array of scenarios, then starting on paracord projects can be a start in the right direction. You can use a section of paracord, for example, to hang a makeshift tent using tarps or even make a multi-purpose survival bracelet. The most important thing to keep in mind about paracord projects is using the best product. You do not want to use an inferior paracord that has been made in China or elsewhere. Durable paracord has seven strands of cord and is the type you will need.